For four years I was a protestant minister AND a monk with the Brothers and Sisters of Charity. 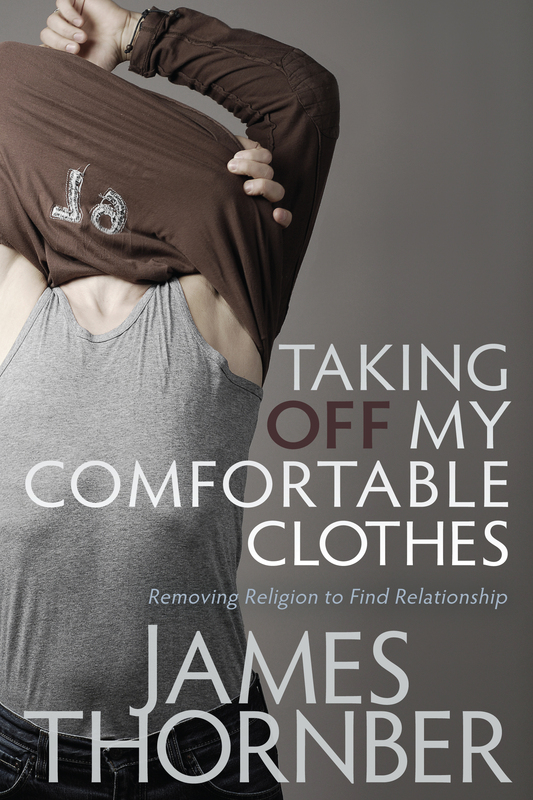 This is an excerpt from my book Taking Off My Comfortable Clothes: Removing Religion to Find Relationship. As a pastor, I like to tell my congregation that I want to be known as “Pastor Permission Giver.” I want to give people permission to use their gifts, talents and passions for God, regardless of what they are. I figured if God gave a person the gift to paint pictures, then there was some way for that person to glorify God through those paintings. Others might have the gift to learn languages, enjoy working with mentally handicapped adults (my mom has that gift), or write music. Whatever gift you have, it has not been given to you by mistake, and the Creator of your gifts has granted you permission to use your gifts and passions in His Church. And if the church you’re attending can’t find a place for you and your passions, THEN GO FIND ONE THAT WILL! I did. The Church has too often become a place where amateurs and beginners have no place to practice their gifts and talents. That’s a shame, because the Church should be the safest place in the world to practice our gifts, make a mistake, know you are safe, and try again. There are no unique talents and gifts in the Church. Whatever is on your heart, you can find someone to mentor you in that area of your heart’s desire. I may have been the world’s only Assemblies of God monk, but I was not the only monk in the world, and I was surrounded by people who knew my heart and understood my passions. Furthermore, God was not treating me special because I was the only Protestant in a Catholic community. His goal for me at the Little Portion is the same as it is for you today — He wants you to become the best you can be by putting Jesus first in every part of your life. Why am I saying this? I want to give you permission to follow your dreams, express your passion for living and do what you know God has called you to do. I want you to shed the baggage of your illusions, find someone who has traveled a similar path and learn from their wisdom, and then go out and change your world because you have been changed by Christ. Just as God gave me permission to follow His unique path for my life, He is doing the same for you. Now, go! IF I had read this when you first posted, I don’t think it would have jumped out at me quite the same, because last week someone sent me a link to this site. Thanks again Jim for your blog… keep writing and I’ll keep reading! I’ve had a question for a while. I have these desires and dreams and talents that God has given me i and I wanted to go to school for that and progress them. Every talent I have only picture myself using them for his glory, my problem is though I went to bible school 2 years and know I feel if I don’t go back for internship there or go straight into the ministry so to say then I’m not doing fully all God plan. I guess Ibsen that if your whole life is not in a church doing ministry work all the time your not fully do what God can do in your life…. That is a good question — can you fully serve God if you’re not in doing it in the church full time? My answer is, ABSOLUTELY!!! Although I pastor a church, I also work at a lumber yard full time, which gives me wonderful opportunities to talk with people I would never have talked with if I was cooped up in my office at the church. Now, think about Paul. He wasn’t doing his ministry in a church. He was out among people, not in a building. In fact, he even had to make tents to support himself. Furthermore, if every person who ministered only ministered while they were in a church or on staff at a church, most ministry that takes place would never happen. I believe that every person, EVERY person, that has a saving relationship with God has a place of ministry in God’s kingdom. I don’t believe, and I don’t teach, that the job the pastor does in the local church is any greater for the Kingdom that what a mother does when she stays home and raises her kids while her husband goes to work every day (even though stay at home mom’s are a rarity!). Raising godly children IS a ministry, and a tough one at that. I believe that the desires God puts in your life to be used for His glory can, and should, be used anywhere and everywhere. If your desires are related to teaching the Bible, then definitely, get all the education you can. I went back for a Master’s degree when I was 44. However, if your desires are to paint pictures, or cook meals, or teach deaf children or design shoes, then educate yourself in those areas and become the best you can be at it. God knows why He gave you those desires, and He’ll show you how you can best use those gifts and talents for His glory. Please, NEVER succumb to the idea that if your not ministering in the church, your not ministering. God is WAY too creative to be limited to spreading His glory through the four walls of a building that will one day decay and rot away.